I have attended more presentations, academic and non-academic, than I can count. The most memorable were the ones that used slides containing attractive graphics, photos and little text, supplemented by story-telling; in fact, some of them I remember vividly even several years later. I recently worked with a scientist on powerpoint slides for a very important presentation. After rendering the slides to be more graphic and less text-heavy, this person was worried that they’d be perceived as less credible as a scientist by their peers. As a scientist, presenter, and audience member it had never occurred to me that giving (or attending) such a presentation could be a bad thing. This made me wonder, how many other scientists are out there who think the same way? If this is a popular belief, it might explain a lot – text-heavy slides (death by bullets), often intermingled with complicated un-readable diagrams crammed onto a slide seem to be the norm in academia. There are exceptions, including Dr. SidneyEve Matrix of Queen’s University. Creating visually appealing slides is both an art and a science. 1) Scientists, including your peers, are human beings too. As such, they appreciate visuals just as anyone else would. Slides that do not help you make the point that you are talking about should either a) be removed, or b) reworked to be more visually appealing. How do I know this, you might ask? I am a scientist myself and I have attended a broad range of presentations both good and bad. 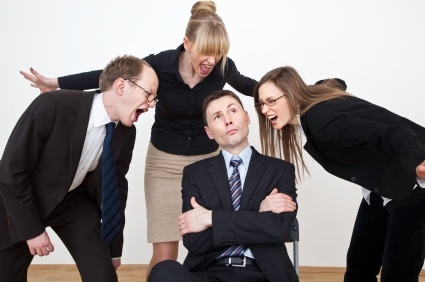 Put yourself in their shoes – how would you feel if you had to hear your own presentation as it is right now? 2) Being a good presenter with good (or no) slides as an aid does not reduce your credibility as a scientist. 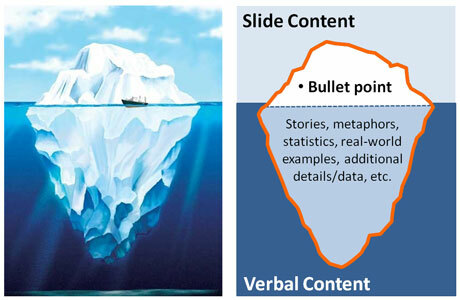 In fact, what does reduce your credibility is having slide after slide of bullet points that you need to read to the audience – this is what we refer to in Knowledge Translation as “death by bullets”. 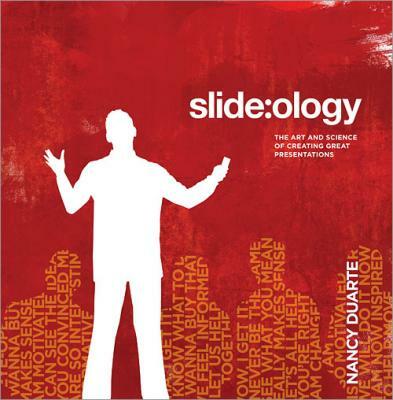 Slides should be thought of as a visual supplement that is primarily for the audience’s benefit, to help you make your point using visuals that are related to what you are talking about. 3) You don’t have to tell them every detail in your presentation. Cramming your slides full of tables with all the stats, margins of error, etc. is not going to help if your audience can’t read it. Ask yourself, what is the point of what I am trying to say here? Choose the most important piece(s) of information you need from that and find a way to graphically represent it on your slide to help you make your point (using the rule of thumb: one slide per point you are trying to make). For example, if you are trying to say that a trend is increasing – create a visual (graph) that shows that, with large clear labels and graphics. If you are showing that one percentage is higher than the rest, create a bar graph to show how these measures compare with the rest (so people can instantly see that the one percentage is larger than the rest, backing up what you are saying about it), don’t put a table of percentages that people have to “work” (study) to understand. The place to provide detailed explanations is a) during the question/answer period and b) in your published scientific papers. 4) Breaking your bullet points into one-slide-per-point-you-are-making (with a picture) does not make your presentation time longer. The “one slide per minute of talking” rule is misleading. 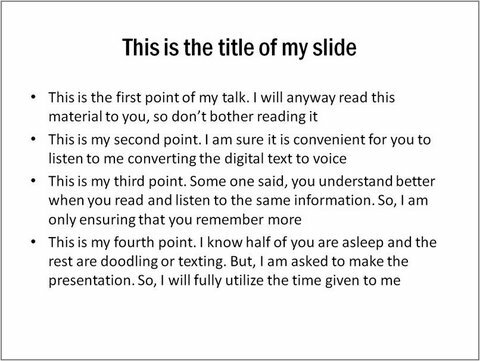 I think it is a disservice for you to be taught this in grad school – if you follow the advice in #1 to create more visually appealing slides, this requires you to take each bullet and put it on its own slide with a picture that helps you make your point. Whether you click to the next bullet point or the next slide takes the same amount of time. Similarly, you may have one engaging slide up for several minutes while you tell a story that relates to the photo on it. So let go of the old-school rule that you gauge the length of your presentation by how many slides you have. At the end of the day, whatever the number of slides you end up with, you also need to practice and make sure you time out properly – but ensuring you stay within the allotted time for your presentation should not set the limit for the number of slides you use. 5) The slides are for the benefit of your audience, not you. I believe the reason why many (poor) presenters read their slides is because they believe the slides are for their own benefit. When I was a kid, I had to write and present a speech each year, and we were allowed to have cue-cards in our hands but we were not allowed to read from them. The bullet points on the cue cards were for the purpose of reminding us what to say next if we forgot. Many presenters use powerpoint as though the slides are cue-cards that the audience can see. In this way, the presenter has made the slides for their benefit, without thinking much about the audience. By creating visually engaging slides it still benefits the presenter by reminding them what they were going to talk about next, and shows you care about the audience by making it easy for them to get the point of what you are saying. As part of its suite of services, NeuroDevNet’s KT Core provides advice and consultation on how to create engaging presentations. Contact the KT Core for tips, tools, and/or advice on a slide deck you are currently preparing about your research findings.